« Reindeer and Snowman Poop! About 12 months ago I posted some birth announcement cards for my boss when his wife had their first babe, Caitlin Grace. Well wee Caitlin has already had her first birthday. It happened whilst we were in the midst of packing and moving, so I was unable to create something to mark the occasion. However now that my new studio is up and running AND SU has released it’s Summer Mini Catalogue which features this adorable stamp set and matching DS paper!!!! I’m not that flash at kid’s cards but couldn’t resist pre-ordering this delightful set. This catty is released tomorrow so this is just a sneak peek at what is available. Do you have your copy of the mini yet? If not, give me a call/email and I’ll shoot one straight off to you. 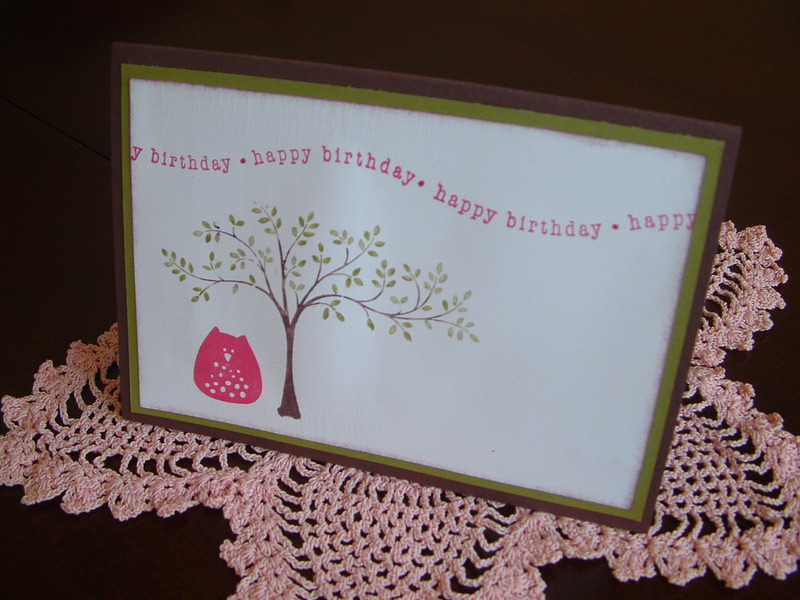 I’ve taken a tip from the gorgeous Tenealle Williams and now decorating the insides of some of my cards. It really does make them look ‘special’ and after all, what’s more special than a young ladies’ first birthday??????? Hope your day was special Caitlin and I’m sorry this card is soooooo late, but better late than never I guess! 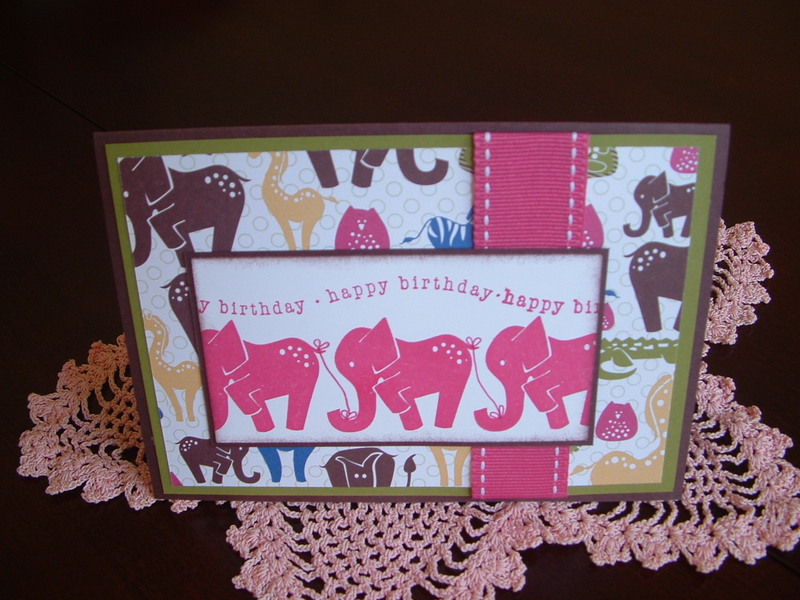 Of course I love this card Jacqui, it heavily features pink and the elephants are gorgeous! !